How Should You Choose Home Care? Searching for the right home care provider for you or a loved one can be a difficult challenge. There are literally dozens and dozens of home care businesses in this community to choose from. So how do you go about choosing a home care agency? Put the various home care providers you are considering to a test. Here at Victoria’s Tender Care we invite potential clients to do just that. Find out as much as you can by proposing the following questions to each agency you are thinking of hiring. Whoever gives you the best replies to what you are seeking in a provider will likely be the home care agency you should choose. Question #1: What is your agency’s background? Here you want to make each company you are considering give you a detailed answer. To get a good picture of each, ask them to explain what type of a license do they have. Find out who owns the company and have them tell you how the ownership of the business affects its service and reliability. What professional organizations it is associated with? Try to get from whomever you are speaking with any kind of documentation that tells you about their reputation and standing in the community. Question #2: How long has this provider been serving the community? While the number of years an agency has been in business doesn’t always tell you whether that provider delivers quality care, it does show the agency is a stable business. And its years of providing home care services in the community obviously indicate it has some degree of success, otherwise it would no longer be in business. Question #3: What qualifications, certifications, experience and training are workers required to have? Find out how each agency goes about checking potential caregivers’ credentials. Determine whether caregivers undergo a thorough, professional testing and screening process. Ask what, if any, ongoing training is provided or required of their workers. Question #4: Are your employees staff or contract workers? Are they insured and bonded? If the workers are contract employees, ask about your personal liability or tax obligations. For your protection, be sure all caregivers are insured and bonded by the home care agency. Question #4: How do you supervise your workers to make sure proper care is given? To ensure care is being administered as promised to clients, some agencies make scheduled quality assurance calls and visits. To be sure, if you are not the recipient of prospective care, but a loved one, see that all caregivers for the agency you have in mind regularly and closely are supervised by a qualified company representative, such as the owner. Question #5: If I choose your agency, will the same worker be consistently providing care? To provide the very best care it is important that the same caregiver come to the home on a regular basis. 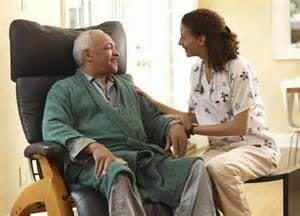 Any good home care provider will do whatever is necessary to maintain this practice to keep continuity of care. Question #6: Do you visit the home before starting care services? The answer you want to immediately hear from a potential provider is “Yes.” It is important that you choose an agency that wants to meet the patient and family members prior to any type service to discuss the kind of care needed. After all, you want to be sure the home care company can meet your needs; otherwise, it would be foolish to hire them. Question #7: In developing a plan of care do you work with my (or my loved one’s) doctor? You need to be sure that you ask this question if you or your loved one’s required care stems from beyond the typical, expected activities of daily life. Most agencies will work directly with your physician in creating a plan of care. Question #8: Can you give me some references? Obtaining such references is extremely important. And ask for names of people – not just the name of a hospital or organization. An important question to ask these individuals is simply: “Would you use this company again for yourself or your loved one?” If they hesitate even for a moment, the company you have in mind might not be a good decision. Remember there is plenty of home care agencies in the community. Don’t settle on one until you are comfortable with their answers. Question #9: What kind of a guarantee do you offer? If I sign with you to provide home care services how long am I committed to you? No matter how much investigative work you have done in selecting a home care agency for you or a loved one, you still might not be happy with the company’s service once it has started. If this is the case, you will want to be able to get out of your commitment as soon as possible. The home care provider should have some type of guarantee in regards to customer satisfaction, allowing for the cancellation of charges for unsatisfactory service. If you still have questions about how to choose a home care agency, feel free to call Victoria’s Tender Care and we will try to help. Yes, we are a home care provider, but you may need services beyond what we can provide, and thus, you may need assistance in finding the right provider for you. Source for this article: Area Agency on Aging of Pasco-Pinellas, Inc.